You might believe you are doing something special for the skin around your eyes by using an eye cream, but in reality you are not. There are no 'special ingredients used for developing eye creams - a quick look at the ingredients list will confirm this! Pause Hydra Creme's delicate formulation is perfectly suited to the eye area, yet powerful enough to act as a deeply nourishing and wrinkle reducing treatment. For best performance you need a serum as well as a moisturiser. Cosmetic houses have created the myth that serums contain special ingredients that need to be applied separate from their moisturiser. Meaning you have to buy two products not one. This is a hard one, but jar packaging is a waste of money and here is why. 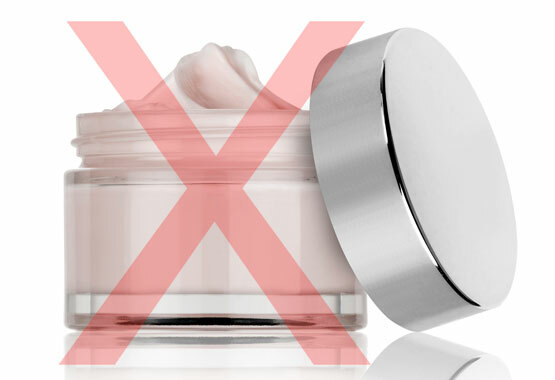 The often expensive and most beneficial ingredients in lotions, creams, gels, and serums break down as soon as you open the jar due to oxidation and the effects of sunlight, ﻿rendering your expensive product nothing more than a basic moisturiser ﻿. Pause Hydra Creme uses an advanced airless pump delivery system, which protects the volatile ingredients, meaning the last application is as effective as the first. You need separate Night and Day creams. What you often hear cosmetics sales people say is that the skin needs different ingredients at night than during the day. They usually state that skin does more repair work at night, so needs more "nourishing" ingredients to assist this nightly renewal process. Well, let us tell you if that's the case there isn't a shred of research or a list anywhere of what those ingredients should be, or how they work more effectively at night! The very best ingredients used in Pause Hydra Creme are balanced to perfection, ensuring your skin is protected both during the day and night, meaning you only need to use this one treatment in your skin care regime. Moisturisers containing collagen boost the skins collagen levels. Its a scientific fact that skin ageing is caused by lack of collagen , however its a total myth to suggest that this loss can be replaced by using a cream containing collagen. Oestrogen is the vital hormone that's required to produce collagen and from your late thirties onwards this vital hormone rapidly declines. 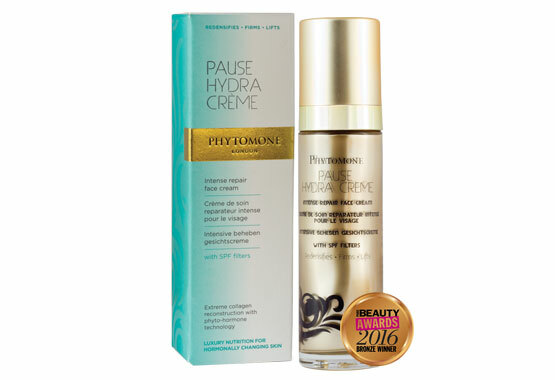 Pause hydra Creme's unique Cosmetic HRT formula actually stimulates the skins own collagen proliferation reducing the appearance of fine lines and wrinkles. Clinical trials saw over 96% of women seeing a significant reduction in fine lines and wrinkles. 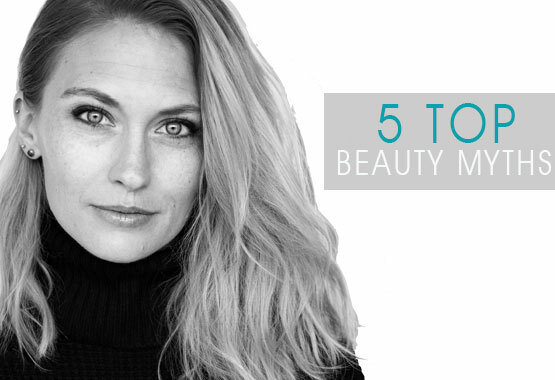 What you may not realise is, once your reach your mid-thirties, the biggest cause of skin ageing is loss of oestrogen. Without the protective effects of this vital hormone, skin health rapidly deteriorates. Normal anti-ageing creams cannot rectify this. Therefore, you have no alternative but to accept the limitations of your current moisturiser, and the fact that the promise on the packaging hasn’t delivered. 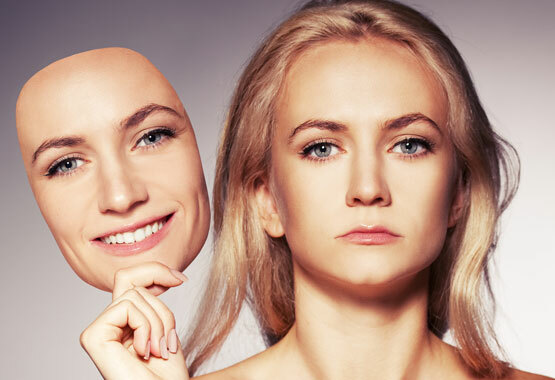 Now for the first time ever, all this is about to change, as Phytomone introduce ‘Cosmetic HRT’ into their formulations, to directly address skin ageing at the root cause, loss of oestrogen. 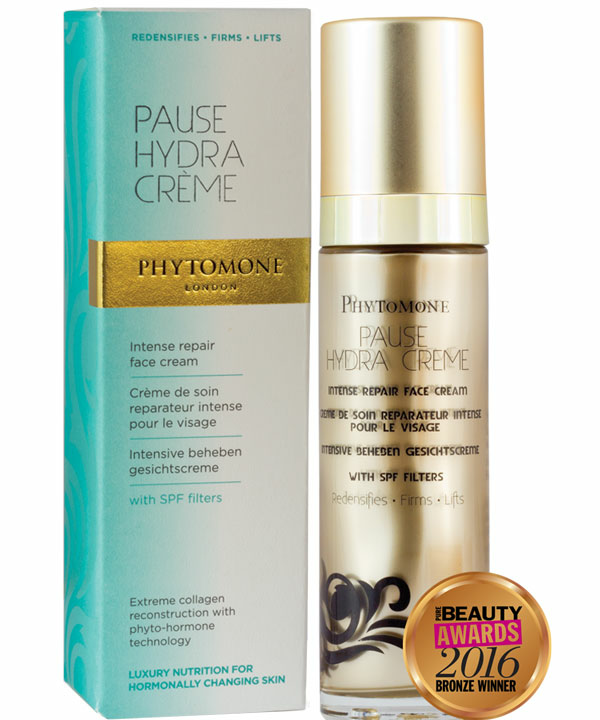 Phytomone Voted "Best New British Brand" Pure Beauty Awards. SPECIAL OFFER EXPIRES SOON CLAIM 25% OFF NOW USE CODE CULT25 AT CHECKOUT! We know how disappointment you may be. Recapture your glowing radiant complexion. 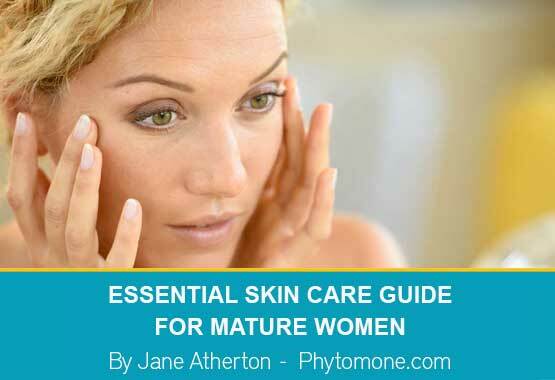 Essential Skin Care Guide For Mature Women? *Results may vary from person to person Clinical Trials The below are buyers results as reported by them. Pause Hydra creme Impressive. I was a bit apprehensive about ordering the cream as I am well beyond the menopause and thought I'd be too old to notice any benefits. I needn't have worried because my skin is looking much brighter and feels very smooth. I also think, miraculously, that my lines are not so pronounced. I also like that I can use it round my eyes without it causing any problems as I have often had bad reactions when using other creams. Sleepless Nights Calming face Oil I absolutely love this face oil. 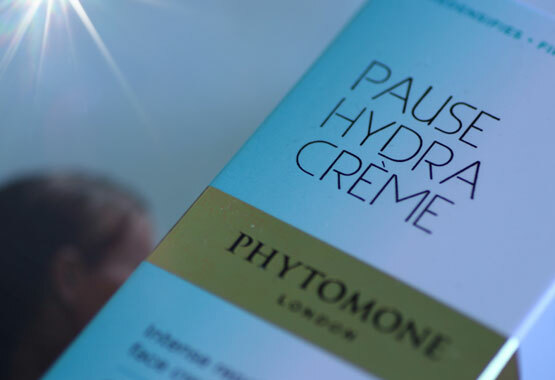 Not only does it smell divine, I also add a couple of drops to Phytomones Pause Hydra Creme, as advised by Kim Redmen, for the ultimate soothing face massage at night. Ladies, this works! !